In our industry, it is imperative that the hoists that hold the equipment above us are in top performing shape – in the best interests of safety. 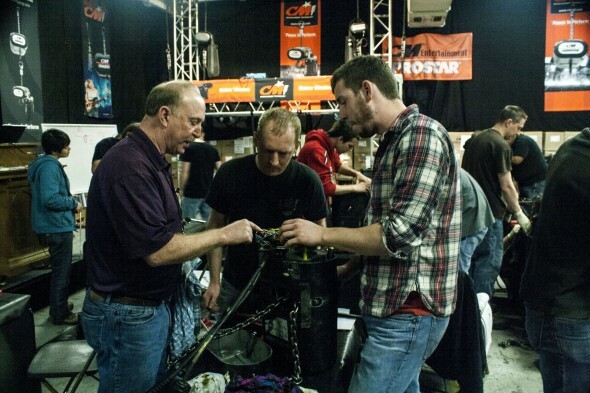 Mountain Productions is a master distributor of CM products, including their legendary chain hoists. 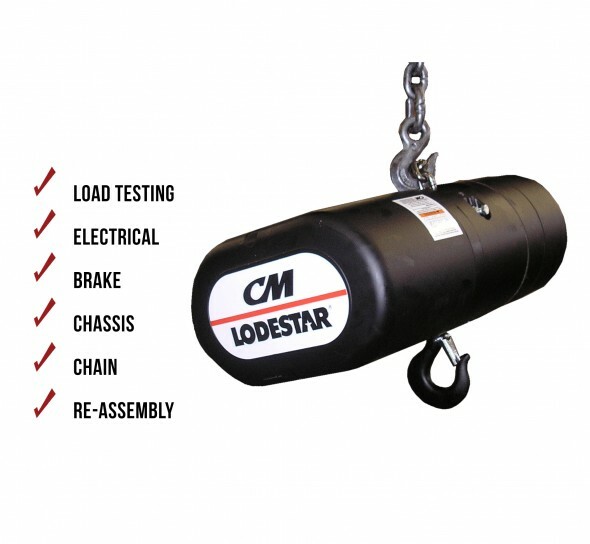 Even though CM offers some of the best and most trusted hoists in the industry, it is still important to inspect and service each hoist regularly. Our rigging department recommends (at least) an annual servicing, but some applications could require a more frequent inspection. Once we receive a motor, a load test is performed. For the Classic style Lodestars, both a static and dynamic load test are completed. New generation style Lodestars only require a dynamic load test. At Mountain, our rigging department provides all load test sheets that correspond with the tested motor, ensuring that the proper load test was performed and passed. A motor’s electrical components are inspected as well. Our rigging specialists perform a thorough visual inspection to assure proper connections are intact. We look for anything and everything that is out of place, including loose connections, corrosion and more. Voltage, amperage and resistance values are checked before continuing the inspection. The motor’s brake is inspected for uneven wear, contaminates (oil, water damage, etc.) and deterioration. If any red flags are raised, the brake is repaired or replaced depending on the severity of damage. Inspectors will perform a visual inspection of the motor chassis. Things to look for on the chassis are water damage, corrosion, cracks, chain guide damage, worn out bearings and more. A major component of the chain hoist operation is (obviously) the chain. The entire chain is checked for wear, stretching and damage (scratches, gouges, nicks, etc.) before re-lubrication. After all of the motor components have been inspected, tested and confirmed to be in working order, the motor is re-assembled and the chain is re-lubricated. As a result, our customers can rest easy knowing that their motors have been thoroughly and intensively inspected and approved for further use. Here at Mountain Productions, our rigging department provides serialized inspection tags for each motor. This is extremely helpful in that all inspections are documented and easily referenced. It is important to note that the frequency of use is NOT a justifiable reason to hold on a motor inspection. Often, our team is asked, “Well, I only used the motor 3 times, do I really need to have it inspected?” The short answer – YES! Whether a hoist is used 3 times, 100 times or a thousand times, it still needs to be inspected annually. A big factor in this reasoning is in the motor clutch. If a motor is used frequently, the clutch has a tendency to slip lower than the capacity of the motor. If a motor is not used frequently, the opposite occurs – the clutch sticks and will lift more than the motor’s capacity. Both situations are dangerous and need to be taken care of before further use. Dave is a frequent instructor at our annual CM Hoist School, providing years of experience and helpful advice to the students. Chain motors working in our industry are as prevalent as the riggers themselves. As each day passes we get more and more complacent with our methods of use, and in some cases, methods of abuse to the point we don’t think about whats going on between the hooks. We hear a squeak here, a ping there, and we accept it. We are faithful to maintain our cars to ensure safe operations so why would we not want the same for our hoists. 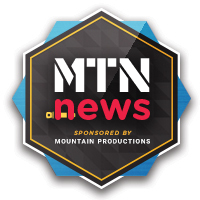 It is great to know that we have people like Mountain Productions who share the same passion for our market and our product, as well as your safety and well being. In Part 2 of this post, we will provide a few tips on how to maintain and take care of your hoists that will result in longer lifespans and less repairs. If you have any questions about hoist servicing, or you would like to schedule your hoists for service, please call us at 570 826 5566.